Frida Kahlo was born in Mexico City in 1907, though after becoming a socialist she would claim that it was really 1910, when the Mexican revolution began. Her mother had mixed European and native-American heritage, while her father was a German immigrant who became an architectural photographer for the pre-revolutionary government. 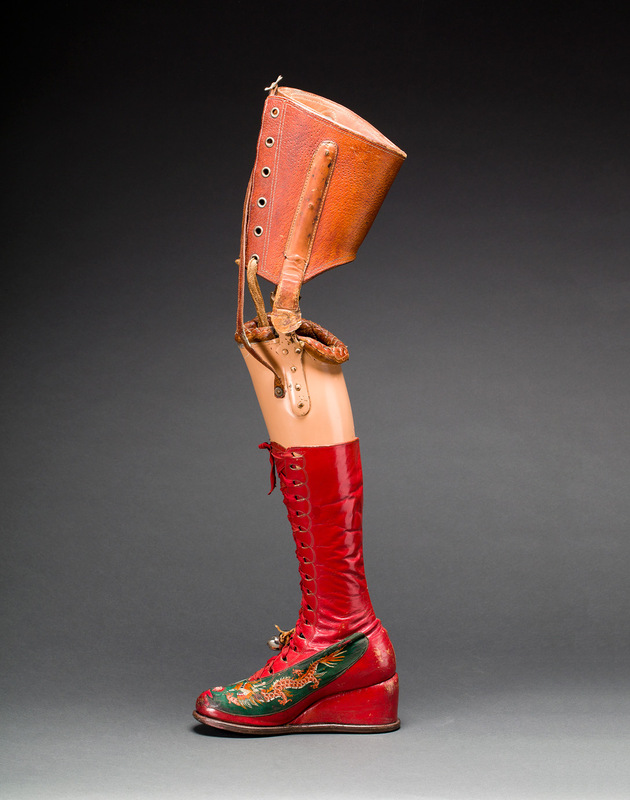 At the age of six Kahlo contracted polio, which left her with a permanently enfeebled right leg, for which she had to wear a prosthesis (right). When she was 18 she was nearly killed in a bus crash in Mexico City when an iron handrail went right through her, breaking her pelvis, collarbone, ribs and spinal column. Over the rest of her life, she would have more than 30 operations in a vain attempt to rebuild her shattered frame. Before the accident she had hoped to become a doctor, but now she turned to painting, encouraged by her father who gave her paints, a specially adapted easel and a mirror fixed to the underside of the canopy of her four-poster bed. As she convalesced, she studied the portraits of Renaissance masters and she also began a lifelong study of herself. 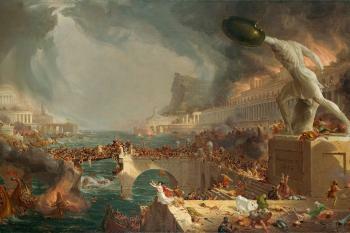 Over the next 20 years she would paint dozens of autobiographical scenes and self-portraits. 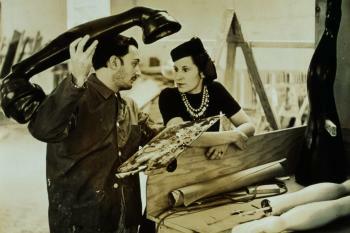 In 1928 Frida fell in love with Diego Rivera, a famous Mexican muralist who was twice her age. She married him a year later. Her art grew in daring and confidence, the more so as she faced adversities of one kind or another: the ongoing health problems, a series of miscarriages and her husband’s compulsive infidelity. By the late 1930s she had become a celebrity, with solo exhibitions in Paris and New York City and accolades from Vogue magazine. 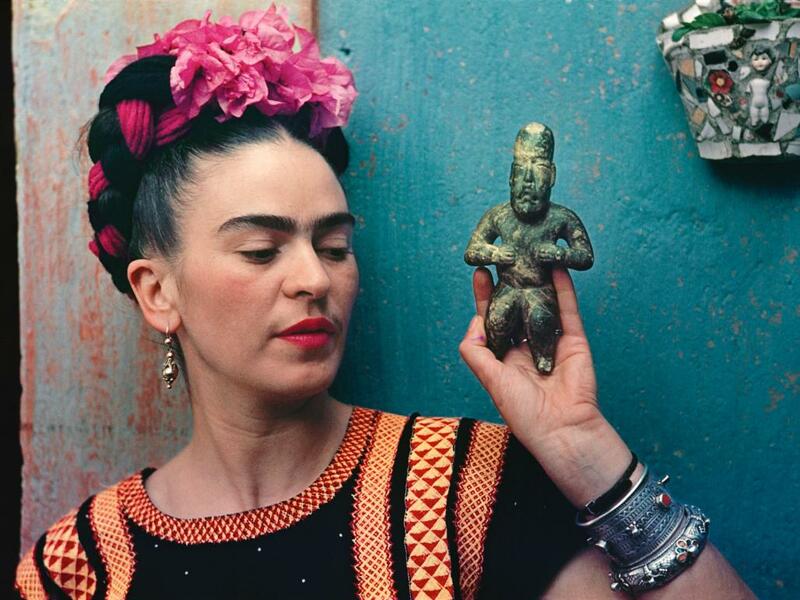 But during the 1940s Kahlo and her paintings slipped from the public eye. She died in 1954, and was not rediscovered until the 1980s. 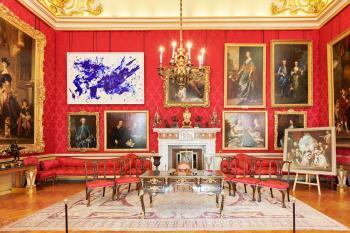 An exhibition at the Victoria and Albert Museum in London traces the links between her life, her style and her work. 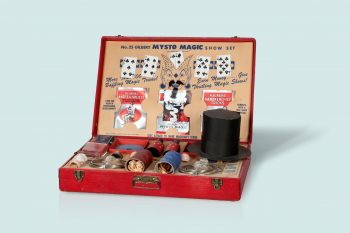 Along with 13 of her paintings, it includes some of the thousands of documents, items of clothing and personal possessions which lay sealed in a bathroom in her house in Mexico City for 50 years after she died – the first time these artefacts have been seen outside Mexico. 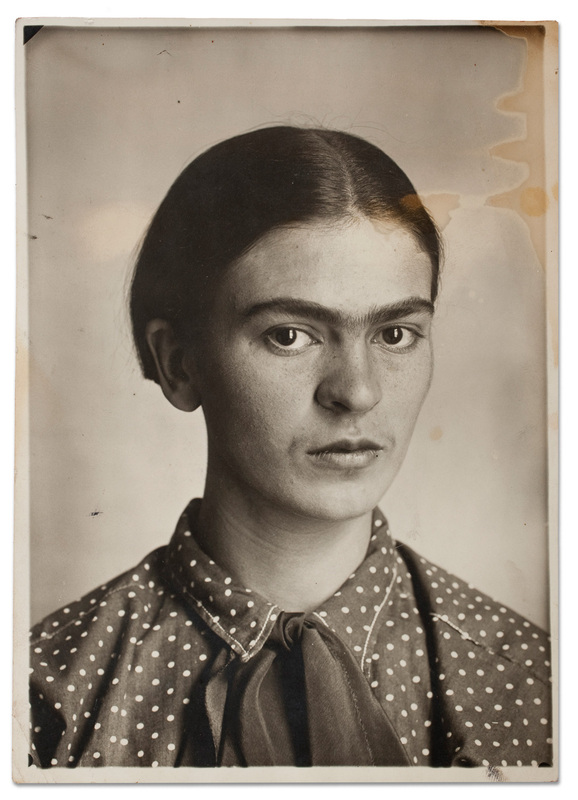 This photo, taken by her father the year after the bus crash, shows Kahlo as a young and vulnerable woman. After several operations and the months she had spent in bed, her first boyfriend was on the point of forgetting her and her university friends had all moved on. Frida stayed behind, uncertain both physically and in every other aspect of her life, forced to rebuild both the crumbled architecture of her body and the future to which she had once looked forward. 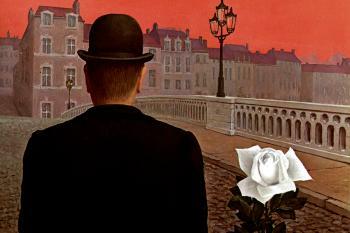 The former would prove to be a hopeless task; the latter she would find in painting. 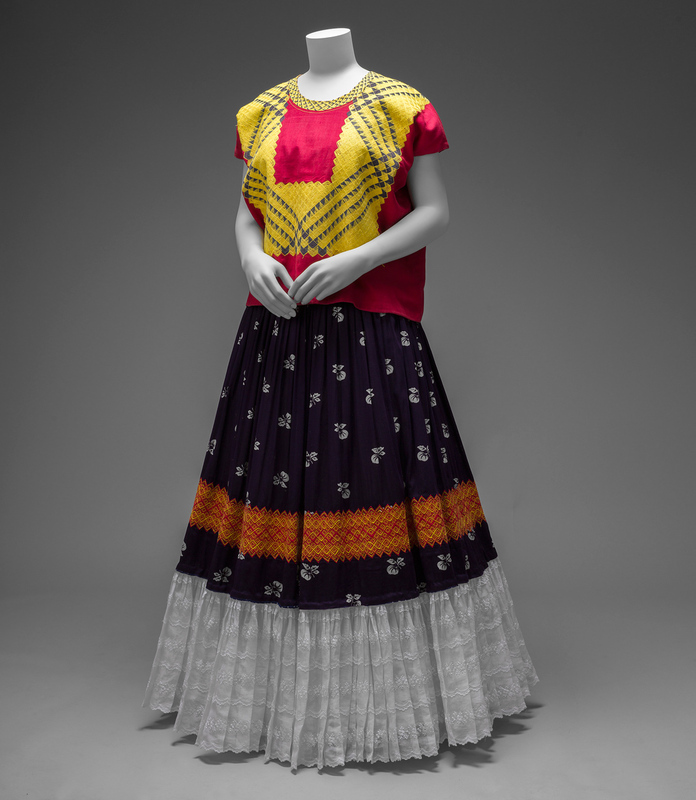 Kahlo began wearing styles such as the huipil, the traditional dress of the Tehuana women of Tehuantepec in southern Mexico, at the time of her marriage to Diego Rivera. 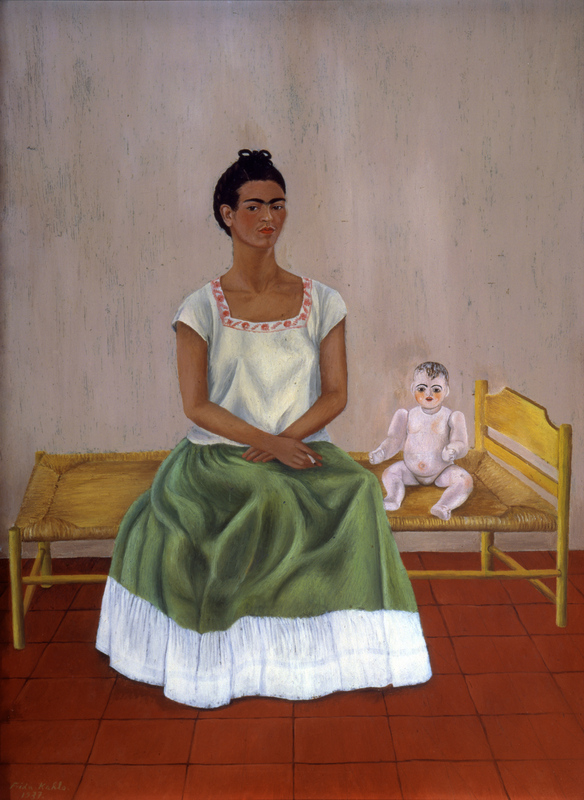 Rivera’s socialist endorsement of indigenous culture confirmed Kahlo’s own political and cultural instincts, which she expressed in part through the way she dressed. Dressing as a traditional Mexican woman was a way of confidently asserting who she was and where she was from. This tiny painting on tin is an example of one of Kahlo’s great innovations. Retablo or ex-voto paintings are a Mexican tradition dating from the late 19th century, and Kahlo herself collected them. These miniatures were painted by folk artists for private clients, to give thanks for deliverance from some brush with death that the client had survived. Kahlo subverted the genre to convey a “message of pain” which she later said was the key to her work. “Henry Ford Hospital” (1932) depicted the trauma of a terrible miscarriage from which she had nearly bled to death. “Me and My Doll” was painted shortly after another miscarriage. The doll on the bed next to her could be a reference to the child she wanted but knew she would never have. Rivera was frequently unfaithful, even having an affair with Frida’s own sister, Cristina, but Kahlo herself was no angel. In 1937 she had a brief dalliance with Leon Trotsky, the Russian revolutionary, and as early as 1931, she had written a love letter to Nickolas Muray, a Hungarian fashion photographer with whom she had a long on-off affair. 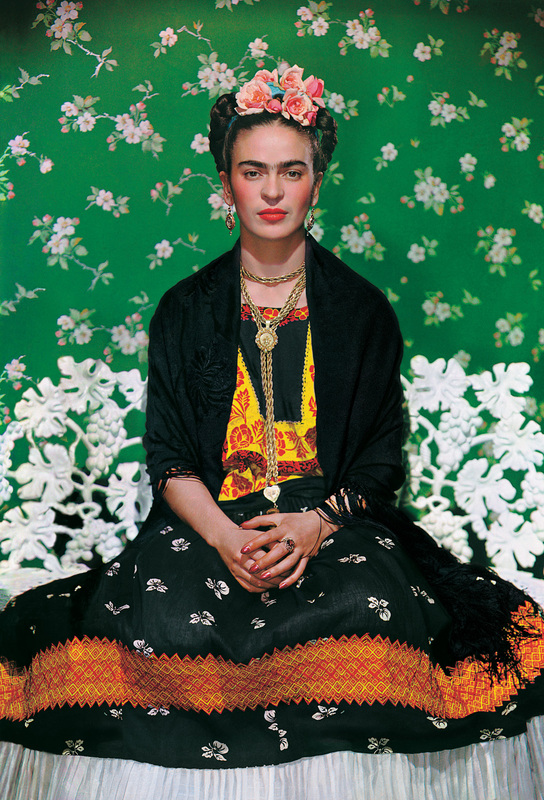 Muray’s images of Kahlo, like this regal portrait for a cover for American Vogue in 1939, are familiar even to people who know little about her painting. They helped cement her status as an icon of 20th-century fashion. 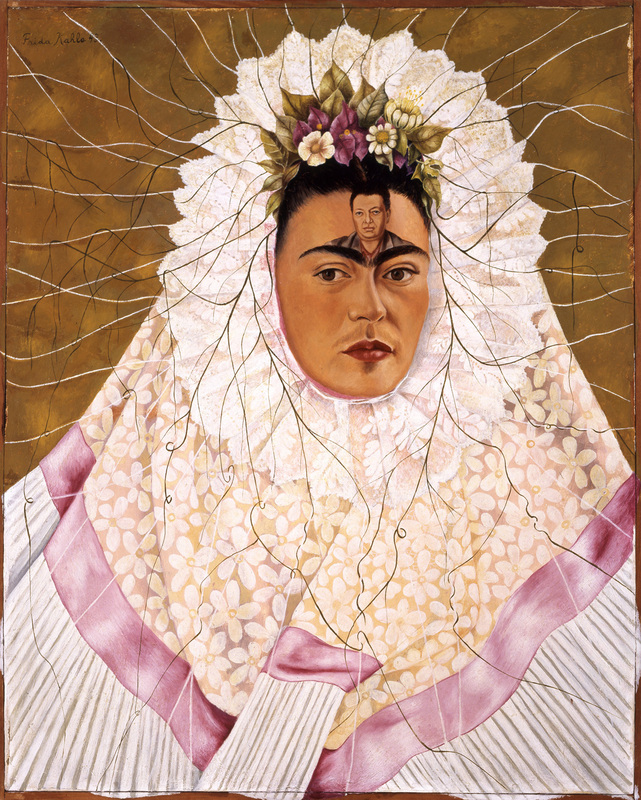 In her self-portraits Kahlo’s love of dressing up becomes a vehicle for self-expression on a much deeper level. For obvious reasons, this painting – in which she is wearing a resplandor, the festive headdress of the Tehuanas – is sometimes given the alternative title “Diego on My Mind”. After divorcing in 1939, the couple remarried the following year, but this time in a strictly celibate union, at Kahlo’s insistence, to protect her financial independence and to keep at arm’s length the pain of infidelity which had doomed the marriage the first time around. Through the 1940s, as Kahlo’s body began to disintegrate, her spiritual need for Rivera increased. This was Kahlo’s last major work before she became too ill to paint anything more ambitious than the occasional still life. The painting, which affirms Kahlo’s own highly personal system of beliefs, contains elements of Mexican, Christian and Hindu religion. Xolotl is the Aztec god of fire and lightning and appears here in the form of the dog curled up on the flounce of her skirt. 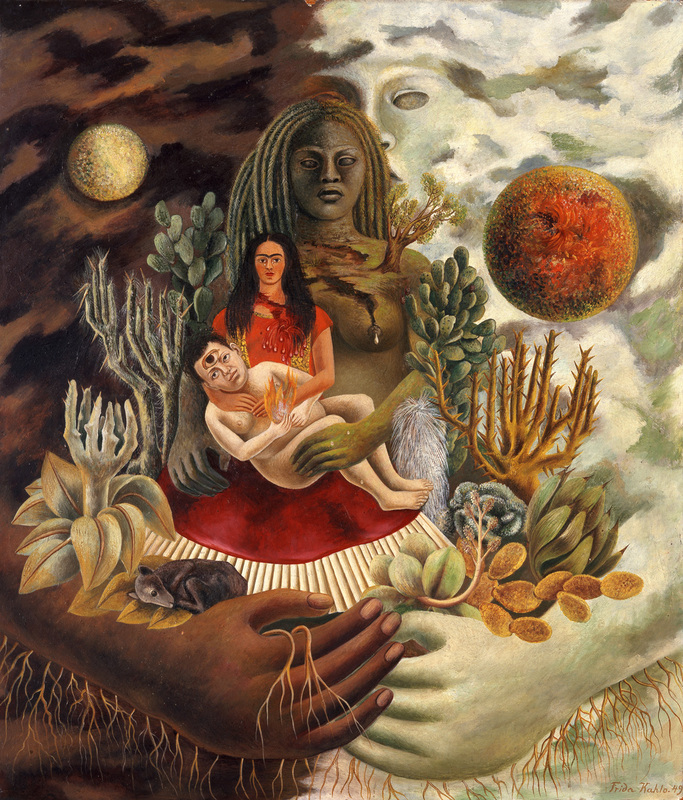 Kahlo casts herself in the role of the Madonna, cradling her naked husband, like the Christ child, in her lap, his divine wisdom marked by the third eye which appears in the centre of his forehead. Even in the late 1940s, in constant pain and with her body falling apart, she continued to defy her fate. In this image Kahlo is attempting to unify the complex mix of forces which had shaped her remarkable life.